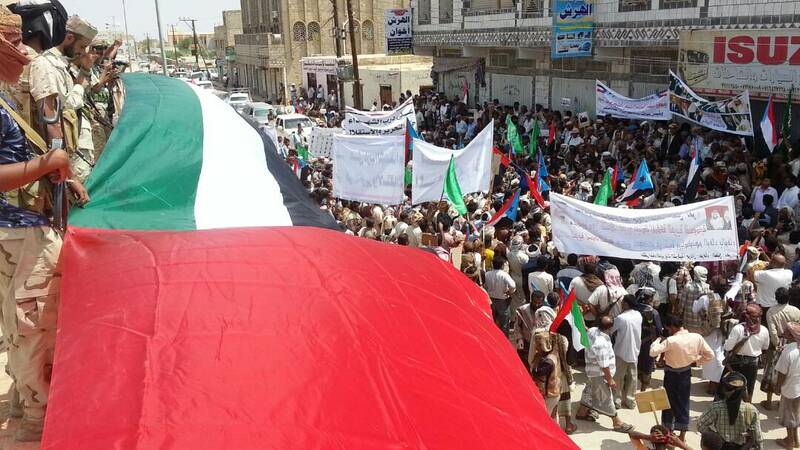 Thousands in Shabwah South Yemen marched in support of the Southern Transitional Council. Tuesday morning residents of Shabwa South Yemen organized a massive march in Ataq the capital of Shabwah to declare their support for the Southern Transitional Council headed by Major General Aidarous Al-Zubaidi and for their governor Ahmed Hamed Lemlas who's a member of the council. Governor Lemlas led the march and gave a powerful speech sending a message to those who had any doubts about where Shabwa stands due to all the fake news reports pushed by Islah media. Participants also expressed gratitude for the Arab Coalition led by Saudi Arabia and the United Arab Emirates, for their support and renewed their commitment to the coalition that the Southern Resistance is a partner of the Arab Coalition in fighting the Houthis and defeating terrorism in South Yemen and the region. Shabwa activists also took to twitter to express their support for the Southern Transitional Council and highlight the massive march on the ground. Majestic day in Shabwah in support of the Southern Transitional Council and Governor Ahmed Lemlas who's a member of the council. 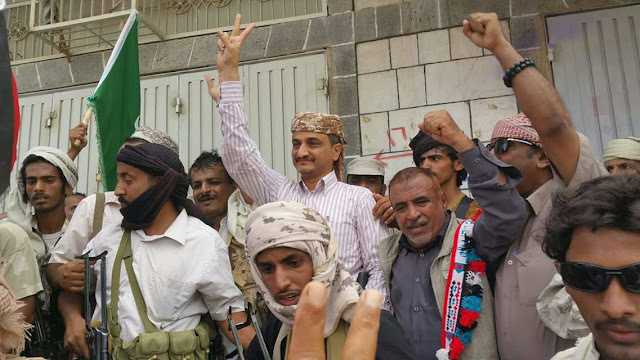 Today Shabwa said with a loud voice "Yes to the Southern Transitional Council"
Today Shabwa destroyed the hopes of those who bet against it, the followers of Saleh's National Security and darlings of Ali Mohsin Alahmar and told them Shabwa will only be with the south and its southern people.